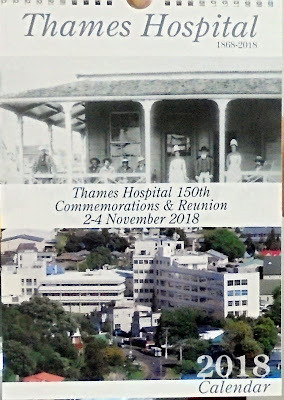 Spread the word, a second batch has been printed and available for sale at Carson's Bookshop, Thames Rock Shop and at the Accounts Department, Ground Floor, Thames Hospital (Mon-Thurs). Proceeds towards the commemorations and Reunion 2-4 November 2018. This is not just for staff past and present, but for anyone associated with the hospital. Maybe your ancestor worked there, started the hospital, was a contractor - ALL WELCOME!